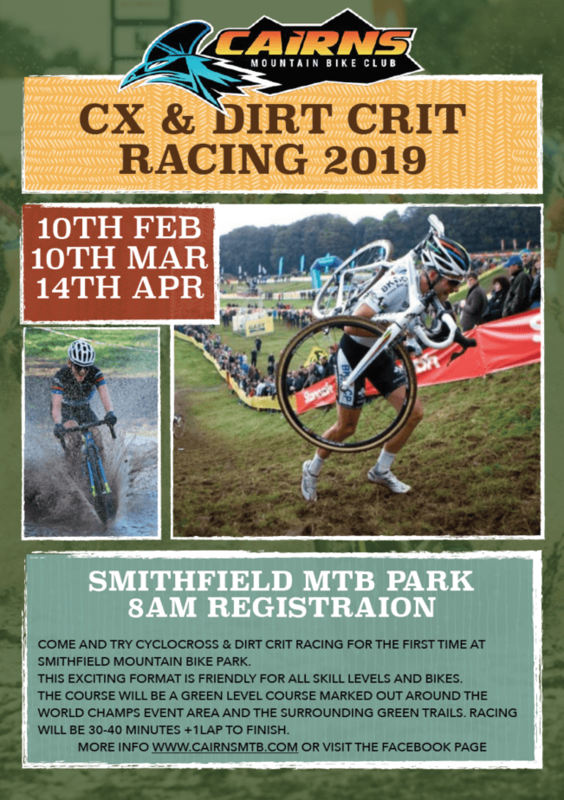 Come and try cyclocross & dirt crit racing for the first time at Smithfield Mountain Bike Park. 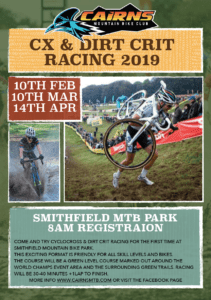 This exciting format is friendly for all skill levels and bikes. The course will be a green level course marked out around the world champs event area and the surrounding green trails. Racing will be 30-40 minutes +1 lap to finish. 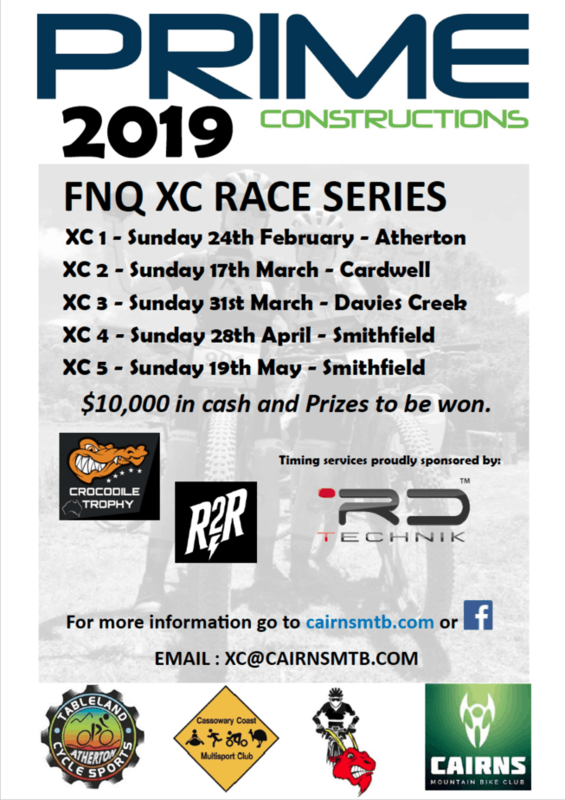 Race events will be held on 10th February 2019, 10th March 2019 and 14th April 2019. Cost: $15 per rider for each event. For more information and registration, click on the specific race event below.